It is obvious that the role of women as half part of the society is very crucial in any country’s development given that this potential is not misled in wrong directions that are rather harmful to the society than useful. The changes in Afghanistan in the last decade following the 9/11 attack opened a new horizon for millions of Afghanistani citizens who benefited particularly two large groups; the ethnic/religious minorities and the women who both suffered from the fundamentalism in Afghanistan during the years of Taliban sovereignty. These positive changes, unfortunately, were not so likable to some specific groups who would look their benefit in the chaos of extremism and fundamentalism in the country to gain bred and fame for themselves. 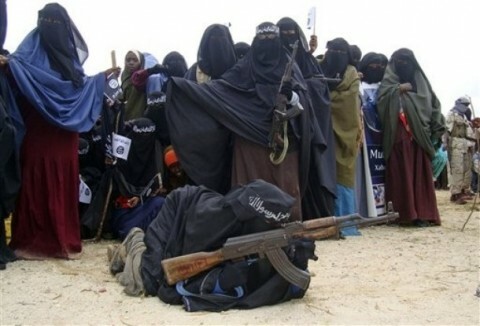 Among many groups including Taliban and other extremist armed groups that mainly consist of male members; there is a women group as well, which is not so keen to embrace the new changes because its existence in the new changes would be questioned. 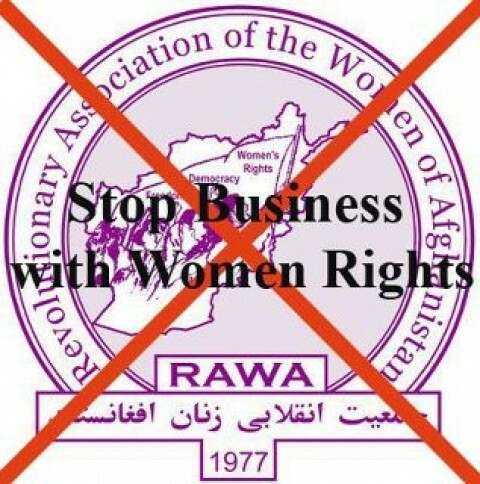 Today unfortunately in Afghanistan, the so-called group RAWA (Revolutionary Association of the Women of Afghanistan) like most of the extremist groups in the world, comes under the category of the movements that function exactly in contrary with the title they carry. Using the fascinating modern terminologies such as democracy, human rights, and women’s rights in the introduction of their activities, the RAWA group carries on its secret activity that is to gain financial benefits from the western countries for their personal and ethnic interests. Based on the evidence, in addition to misuse the financial aids that they receive by the name of Afghan Women, this group functions as the left hand of Taliban as well to promote fundamentalism, racism, and superiority of the Pashtoons through ethnic discrimination by which they guarantee their existence. 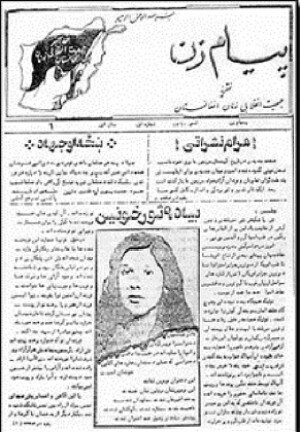 In this document of Rawa you can read in the Pashto language: for women is a duty to fight the holy war (jihad) against the communists. On the upper left, you can see the black flag symbol of fundamentalist jihadist. The Taliban impose Islamic Hijabs on women while the RAWA group promotes the veils when they go among the women and talk to them.